School of Drama alumna and playwright Janine Nabers. Photo by Brian McConkey. For her first assignment in the MFA Playwriting program at the School of Drama, Janine Nabers (’08) was told to imagine a conversation her parents might have had on their first date. She wrote about their first chance meeting in Pennsylvania and the cross-continent romance that unfolded when her dad, a member of the U.S. military, was ordered overseas. She also told of the letters they sent back and forth before her dad finally popped the big question. The exercise speaks to the pedagogical approach at the core of the School of Drama’s MFA Playwriting program. Centered on a teaching technique called the discovery process, instructors draw out and nurture each student’s unique voice—an authentic expression of his or her individual personality, perspective, and experiences—through several systems of training. Graduates of the MFA Playwriting program are the most compelling evidence of its success: The program has become an incubator for a gifted class of writers, including Nabers, Matthew Paul Olmos ’04, Bekah Brunstetter ’00, Nick Gandiello ’11, Dan Kitrosser ’14, and Sylvia Khoury ’15. Each week brings news of more alumni accomplishments, and that doesn’t appear likely to slow down anytime soon. Take Nabers, who has written for both the stage and screen. 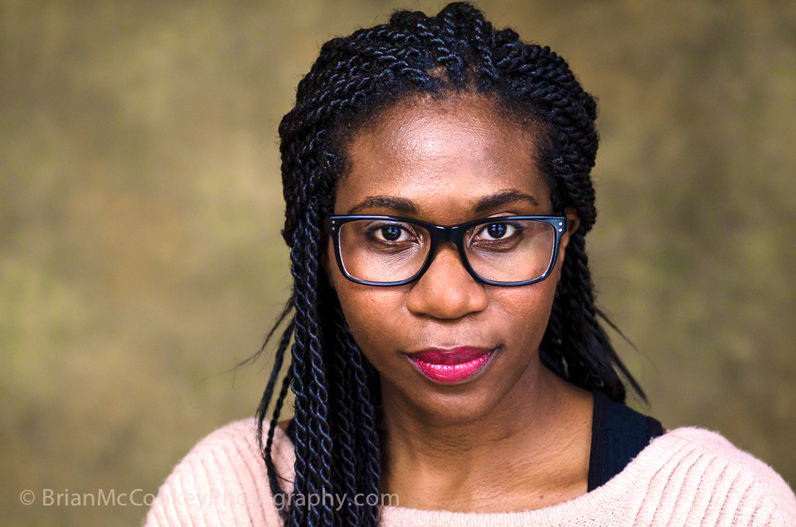 Her credits include Serial Black Face, for which she won the 2014 Yale Drama Series competition, as well as Annie Bosh Is Missing, Welcome to Jesus, and A Swell in the Ground. She also writes for the Bravo series Girlfriends’ Guide to Divorce. But it is in her theatrical work that Nabers truly shines. At once personal and universal, many of her plays speak to both the writer’s life and broader historical narratives around the black American experience. In When the Levee Broke, Nabers focused on the Great Mississippi Flood of 1927, the most destructive river flood in the history of the United States. Though Nabers wasn’t alive to witness the disaster, she observed countless similarities between that one and another catastrophe she and her family endured: Hurricane Katrina. Nabers credits the faculty, including Parker and Christopher Shinn, an assistant professor of playwriting, for creating an environment where collaboration and free expression were always encouraged. As part of the learning process, the playwright faces the artistic and pragmatic challenges of writing and rewriting, of working with actors and directors, and the critical process of guiding a play from artistic impulse to exploratory and clarifying drafts and through to rehearsals and production. As the writer’s play manifests, so too does his or her unique voice. For more information about MFA Playwriting, visit www.newschool.edu/drama/mfa.